I'm excited to slash the price down on this gun basics kit to welcome you to USA Firearm Training. 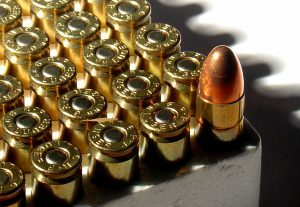 We believe in Firearm Training and self defense but having the right tools when training feels like half the battle. That is why we want to help you with a holster, ammo, and some targets. There are more details below but I hope you will take advantage of this crazy deal while it lasts (because at the rate these are moving I don't know how much longer I can do it). P.S. Do me a favor if you can and share this page with your friends on Facebook, or email it to your friends. (Just wait until after you grab yours, in case we run out). These targets are perfect for any training drill or scenario. Convenient to store, pack, and setup for your next range trip. Durable for Outdoors – Place them on a tree or in a bush. Moisture resistant and strong enough to resist tears. Easy to Pack – Fits fine in your backpack, range bag, and even some pistol cases. 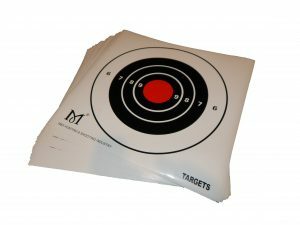 Convenient at the Range – Stick these to standard Cardboard backings or over the top of any other target full of holes. Makes it easier to conserve materials. 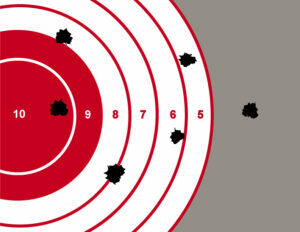 Setup Any Type of Drill – No matter the drill you want to practice, adhesive targets make it easier to setup your targets where you need them to complete your drill. The Right Size – Big enough for any shooter to train with but small enough to handle with convenience and adhere to any backstop. 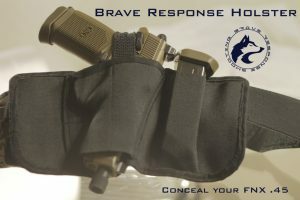 The Brave Response Holster is changing the industry. This revolutionary design makes it more comfortable, more durable, and more versatile than any other concealed carry holster on the market. Unique belly band technology allows you to conceal as deep or as shallow as you want inside the waist band without attaching to the belt. Make from “shark skin” durable fabric to ensure long life. Adjustable grip straps to secure your weapon from slips and tugs. Supplies are LIMITED so please grab yours now.